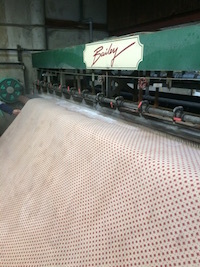 After thorough initial inspection, most rugs are run through our Dust Extractor (one huge and powerful vacuum cleaner) to remove deep down dust and grit prior to washing. 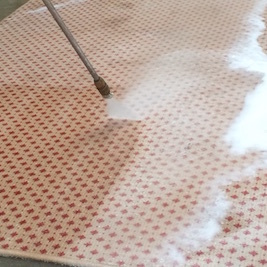 In this step we test the colors in the rug to make sure that the dyes are stable before they are cleaned. 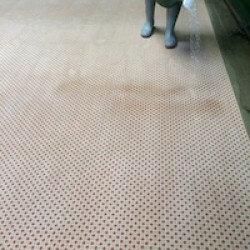 If the color is not stable then we treat the rug before washing to stabilize the dyes. 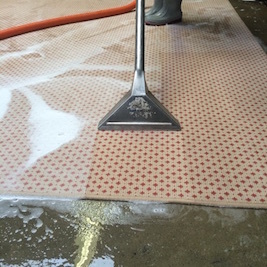 In this step we soak the rug with water and apply the shampoo, we also pretreat any spots or heavy traffic areas. In this step we brush all of the shampoo into the pile which will loosen up all of the soiled areas and help release spots. With tufted rugs and some machine made rugs the backing is not cleaned because there are glues in the foundation that will become damaged if cleaned to aggressively. 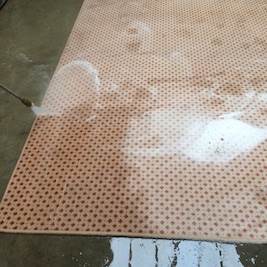 So in this step we vacuum the pile to remove all of the soiling and shampoo. 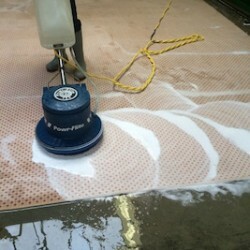 On some rugs we will use a light water pressure to loosen up heavy traffic areas and spots. This will also help remove any soap residue. 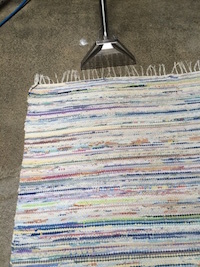 Before the rug goes into our Rug wringer we apply a fiber rinse to help the colors be rich and to cancel any soap residue. 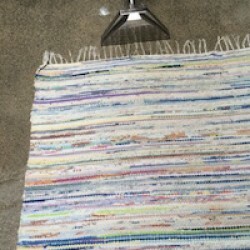 This will make the rug soft and colorful when it is completed. After the rug has been thoroughly cleaned we then send it through our rug wringer this will give it a final brushing and one last rinse. 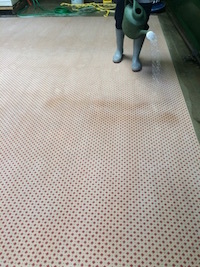 The rug then goes through large rubber rolls that gently squeeze the water out of the rugs. 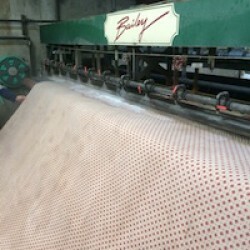 In the Dry Room all rugs are hung up in a temperature controlled dry room, this allows the rugs to dry in about 24 hours. After the rugs have dried completely we take them down and clean the fringe. 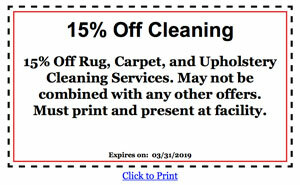 We also will apply Moth proofing or scotch guard at this time. Any deodorizing is always done in the washing process. The rugs then go back in the Dry room to dry again. When the rugs are brought down from the dry room they are inspected to make sure the quality is superior, vacuumed and put away.